The Paseo Plaza and Paseo Villas are actually two separate complexes on the same block. 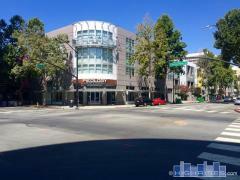 Residents of both enjoy being in the heart of a vibrant Downtown San Jose. A mixture of townhome style and flat style condos are available. Amenities of both buildings include secure gated building and parking, pool/hot tub, community room, gym and an all around great location. Have any comments or questions about Paseo Plaza & Villas? Ask your question and/or share your thoughts about this Building.